Stripes have been a staple in my closet for the past few years, and I constantly find myself adding more and more pieces to my ever-expanding collection. However, I don't have a striped skirt...yet, which means I just may have to get one! 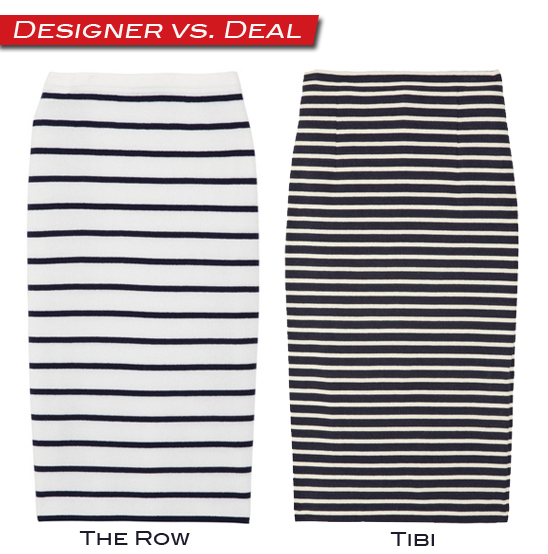 I love both of these skirts below by The Row and Tibi! I especially love Tibi's use of thin stripes and dark background, which will have an overall slimming effect. However the luxurious cashmere of The Row's Remsen skirt is certainly appealing!